Get our top 3 machines with our Bubble Tea Business Starter Kit! The 999SN Sealer Machine is our most popular model and can seal 95mm 12oz, 16oz and 24oz cups. It can also be upgraded to Universal (98mm PET and 95mm PP Cups) and UL Certification. The Dasin SK300 is our most popular bubble tea shaker. It features a sleek and modern design to accentuate your Bubble Tea Shop. Using a shaking machine will reduce employee costs and the new compact design also saves valuable counter space. Automatic Fructose Dispensers will dispense a consistent amount of sugar every time. 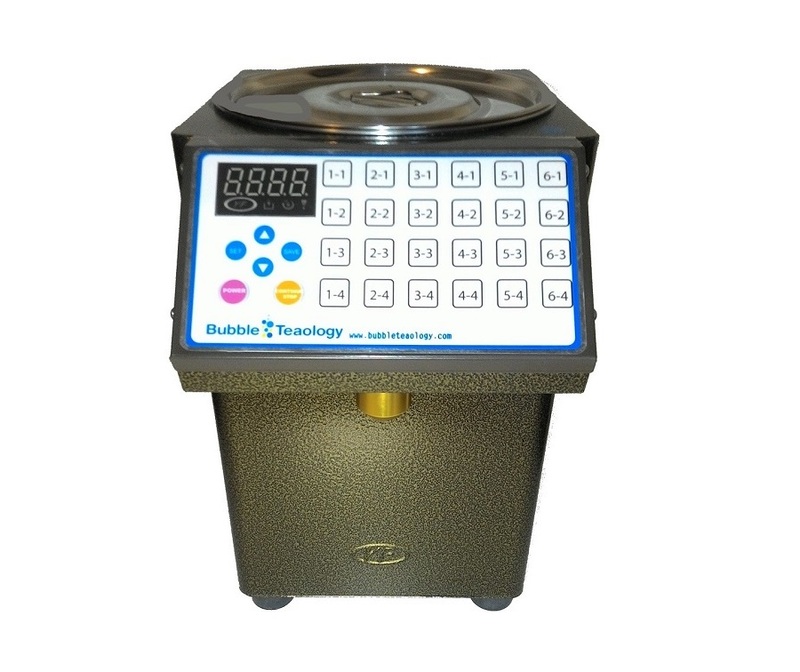 You can easily program the buttons to dispense the exact amount of sugar that your customer wants. This ensures that your drinks are consistent and takes the guess work out of your employees jobs. All Machines have Free Shipping, a One Year Warranty, 3 Years of Video Support and a Free Training Video!